As the only non-invasive treatment to lift and tighten skin on the eyebrow, chin and neck, Ultherapy delivers the power of ultrasound energy to naturally encourage collagen production at the skin’s foundational level. After skin is cleaned, an ultrasound gel is applied to the treatment area. A smooth ultrasound applicator is pressed against the skin. Imaging ability of the ultrasound applicator allows for each treatment area to be viewed prior to releasing the ultrasound energy. This ensures that focused treatment is emitted to the correct area. Collagen building begins right away. Unlike lasers, surgery or other technologies, the outer layer of skin remains uninterrupted. With no toxins, needles or downtime, patients return to normal activities immediately. 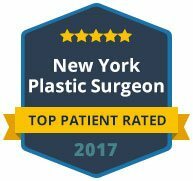 While Ultherapy is clinically proven to lift and tighten skin, it is not intended to produce the same results as a surgical facelift. Results following Ultherapy are most apparent within 2-3 months, as collagen is produced. Perhaps you’re not ready for surgery, but you would like to lift and tighten skin along the brow line or chin. In turn, maybe you would like to extend the effects of a previous surgical procedure. 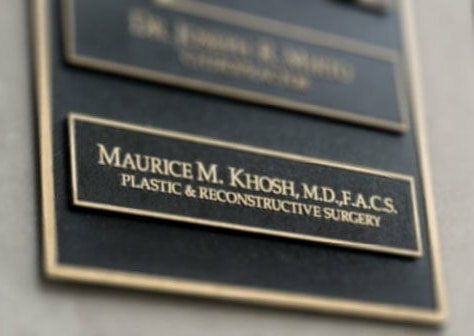 Whatever your needs, you can trust the meticulous skill and clinical experience of Dr. Maurice Khosh. 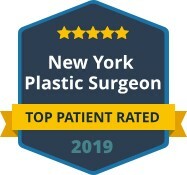 With a reputation for excellence and an expert in facial transformation using invasive and non-invasive methods, Dr. Khosh invites you to schedule your consultation today. Giving the skin strength and elasticity as well as a youthful appearance, collagen is a protein naturally occurring in the body. Yet, the cycle of collagen production slows with age, resulting in fine lines and wrinkles, dry and sagging skin, and uneven skin tone. Thus, as a non-surgical way to boost collagen production naturally, Ultherapy helps counteract the effects of time and gravity. By delivering focused ultrasound energy to the skin’s foundational layers that would typically be addressed during cosmetic surgery, the tissues are essentially awakened to generate new collagen. Following treatment, skin continues to produce collagen, with true results seen at 2-3 months. FDA approved to lift skin on the neck, under the chin, along the browline, and to improve the appearance of lines and wrinkles on the décolletage, Ultherapy is a non-invasive way to achieve a fresher look—one that will continue to look better with increased collagen production. To learn more about Ultherapy, contact our office today to schedule your private consultation with Dr. Khosh.